The Traveller Air All Season is the latest edition to the Dorema Motorhome range for 2016. This New model is now produced with the very latest European TenCate fabric as well as the Dorema ‘Easy Air Frame’ (EAF) system. 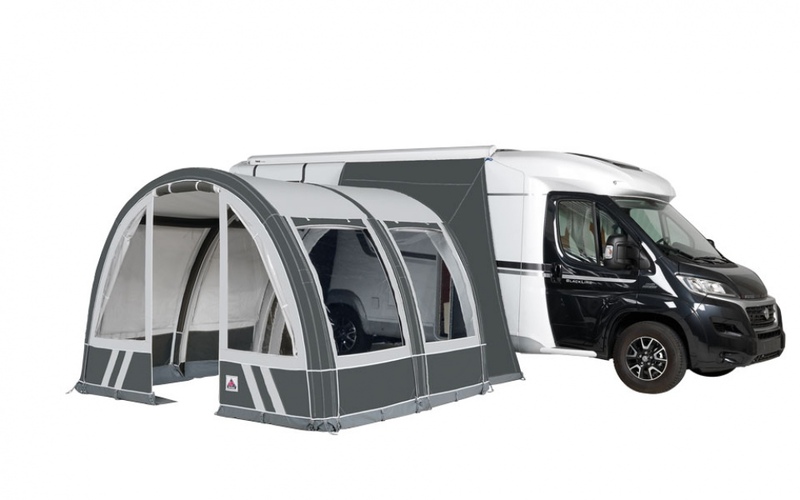 This luxury Motorhome annex can now be simply erected in 5 minutes and can also be used as a freestanding awning. This new addition is extremely versatile and attaches to the Motorhome with the aid of a zip in tunnel attachment which will fit most Camper vans and Motorhomes from 180 cm – 270 cm high.